Biplane that was used as a military trainer by the US Army Air Corps during the 1930s and it served throughout WWII. 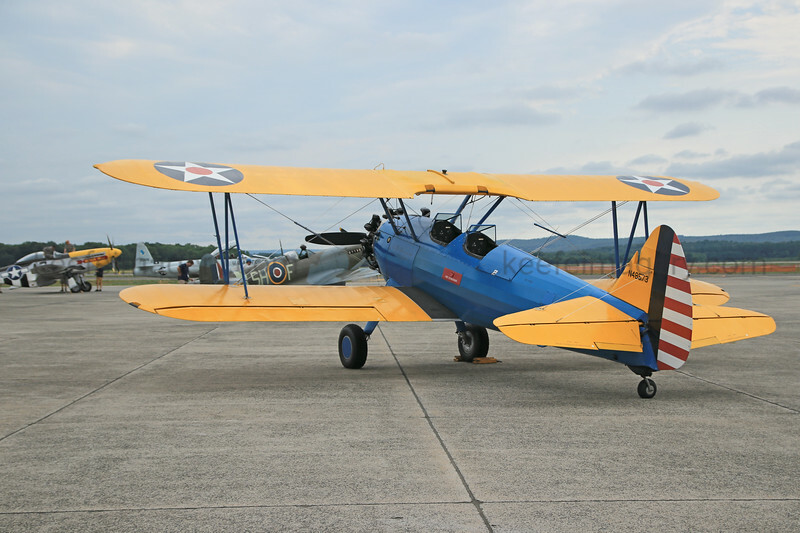 The PT-17 is widely known as the Stearman, Boeing Stearman, Boeing Model 75, or the Kaydet. At least 9,783 were built and thousands of surplus PT-17s were sold on the civil market after WWII.